Legendary NCAA basketball coach Bob Knight is only one example of the many sports coaches who have a reputation of yelling and getting physical with their players in order to hold them accountable and help them grow as individuals and teammates. Decades ago, this coaching style was deemed normal; it was just passionate coaches trying to teach their players by intense means. Nowadays, however, this method is viewed by some as inappropriate and aggressive. An argument between Michigan State’s men’s basketball head coach Tom Izzo and freshman Aaron Henry during the first round of the 2019 NCAA Tournament reopened a national debate on the relationship between players and coaches. In the first round NCAA tournament game, Michigan State squared off against Bradley. In a competitive game, there was one instance where Henry did not appear to give his full effort to get back on defense for the Spartans. This caused Izzo to rush in rage towards Henry during a break and start screaming. Then, moments later, Izzo jumped out of his seat toward Henry before Spartan-star Cassius Winston separated the two of them. This event was captured on live TV with an aerial camera view that clearly depicted the incident. A huge debate proceeded in the sports world and on social media about how far coaches can go with their players in today’s society. Coaches are passionate about their players and their respective sports in general. 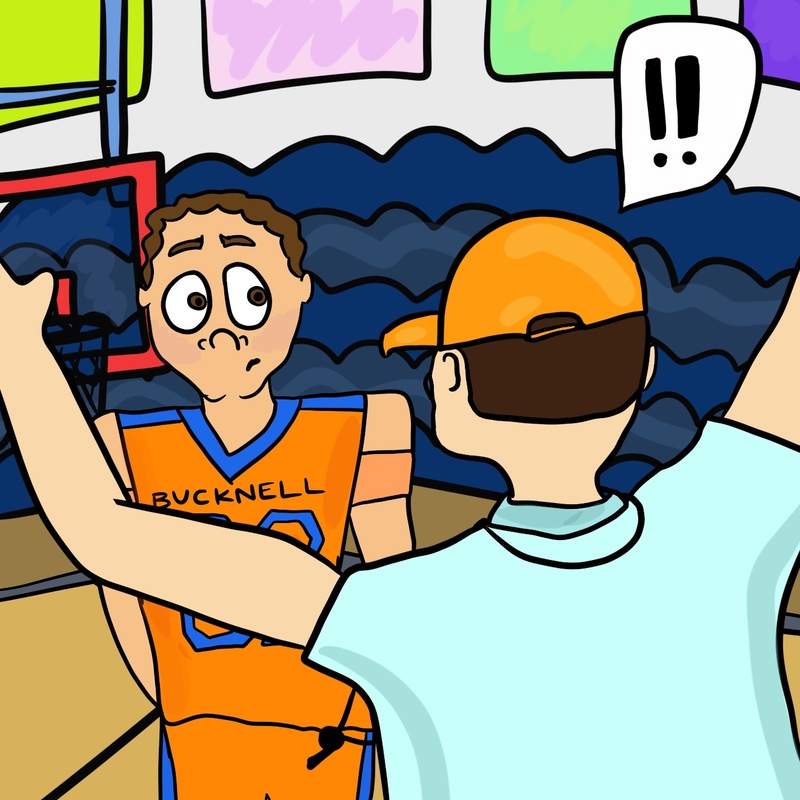 In some cases, coaches may cross a line to convey their thoughts on a particular incident in a game. But that is not the coach attacking the player as an individual. It is the coach, like in Izzo’s case, knowing how good his players are and how much potential they have. When they are not giving their full effort in a game that could be the biggest one of their careers, there is no doubt that it will generate some passion. In the end, this coaching technique will help the player learn in a way that does not “baby” them. In today’s world, it is very easy for coaches to live under a microscope. In Izzo’s case, he received both criticism and praise for his actions during the Bradley game. Social media erupted when the video went viral. For the majority, the praise arrived from athletes, both former and current, who emphasized that players will not grow and evolve as athletes and individuals unless their coaches push them, especially in a world where participation and effort are seen as a means for receiving trophies. Former Spartans Draymond Green and Myles Turner both stated that they had, and have, no problem with Izzo’s coaching methods, while Henry had nothing but support for his coach after being questioned about the incident. “I know what I signed up for, my family did too. I’m all for it,” Henry said. If players under Izzo accept his coaching methods and have thrived under them, maybe it is time we all start looking at coaching as a way to make the players grow, regardless of how times have changed.